Sweet as cherry pie recipe greetings card. Includes cherry pie recipe and blank space for your message. 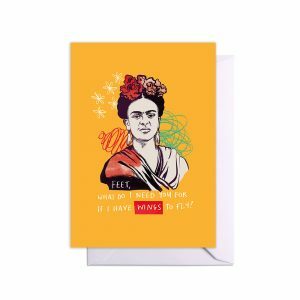 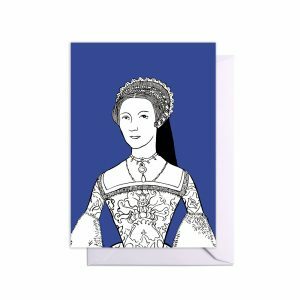 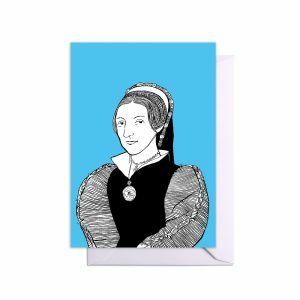 Give more than a greetings card with our Bite Me range, featuring bold designs and matching recipes. 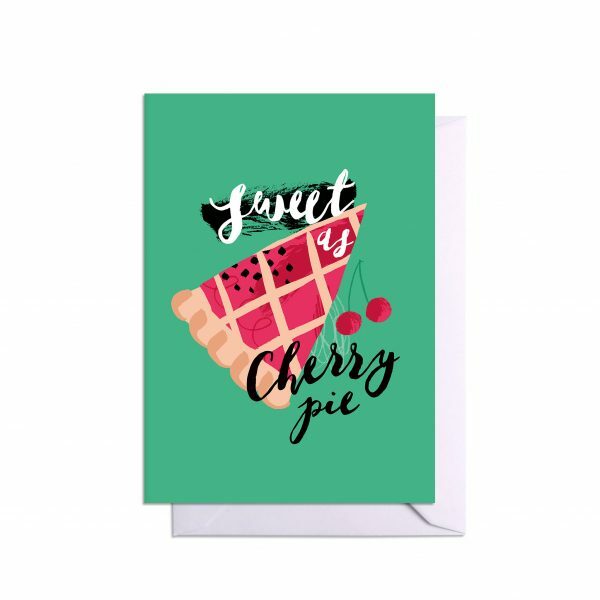 This fun card features a delicious cherry pie recipe inside, plus a blank space for your message. 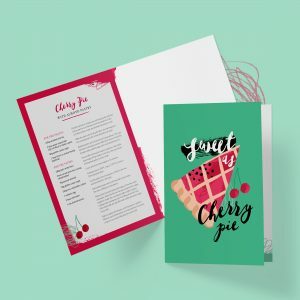 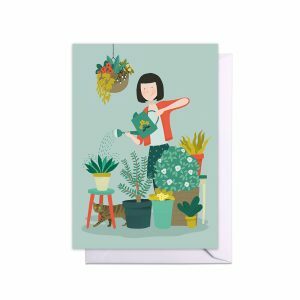 It is printed on the highest quality FSC certified paper and comes with a white envelope.